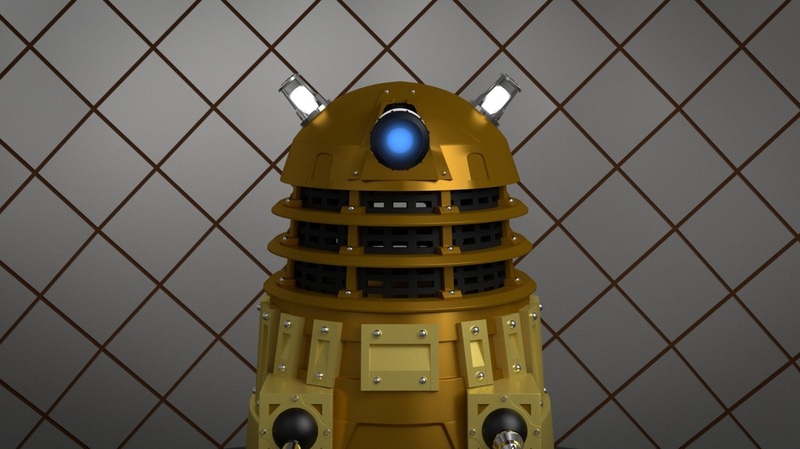 This animation was made as a bit of fun once I had made a screen accurate Dalek model back in 2012. A year later I re-uploaded an audio resynchronised version is the audio had slipped in places in the first video. The animation mixes the Dalek from Doctor Who with the song "Still Alive" from the game Portal as well as the Portal Turret and Companion Cube. The main challenges for this was getting the Daleks lights to light up at the right times during the song to make it seem like it was singing it. This marked the first time I had done something that was close to lip syncing and allowed me to develop a way to get the timing correct for each sound. The Dalek that was used here would later be reused for other projects including the Davros Weekend Challenge project and a Background in one of the TARDIS screens. This was the first model that I used plans to create instead of going by guess work and so is more accurate than most of my models that are based upon object from TV Shows and Films.